Download SSC Junior Engineer Civil & Structural Engineering Recruitment Exam Guide By Disha Experts – SSC Junior Engineer Civil & Structural Engineering Recruitment Exam Guide SSC Junior Engineer Civil & Structural Engineering Recruitment Exam Guide is a comprehensive book for those who aspire to excel in SSC Paper 1 and Paper 2 for Jr. Engineer – Civil & Structural post. The book has been divided into three sections namely Civil & Structural Engineering, General Intelligence & Reasoning and General Awareness, each sub-divided into ample number of solved problems designed on the lines of questions asked in the exam. All the chapters contain detailed theory along with solved examples. Exhaustive question bank at the end of each chapter is provided in the form of Exercise. Solutions to the Exercise have been provided at the end of each chapter. 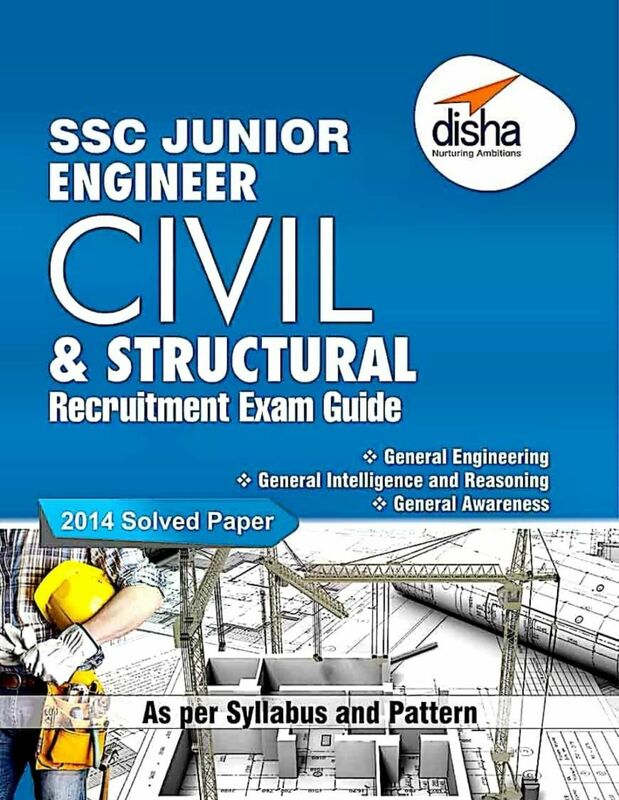 Solved Question paper of SSC Junior Engineer Civil & Structural2014 have been provided for students to understand the latest pattern and level of questions Another unique feature of the book is the division of its General Awareness section into separate chapters on History, Geography, Polity, Economy, General Science, Miscellaneous topics and Current Affairs.